Cummins Insite is a PC-based software that provides quick, easy access to your engine’s electronic performance information. Insite helps ensure accurate diagnostics, minimizes downtime, as a result, increases productivity and profits. Once connected to the engine, Insite software makes engine information quickly available, supplying details you need. 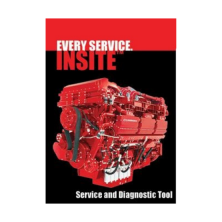 Insite is your solution for Cummins electronic engines. Your Insite subscription also includes Cummins technical support at no extra cost.